Diamond grinding cup wheels produced from the diamond tools manufacturer can have different diamond grits, different bonds, different diamond hardness and different diamond concentrations to fit different uses. If the concrete to be ground is hard, the bond should be softer, and if the concrete is relatively soft, the bond should be harder. There are normally two phases in concrete grinding, which are coarse grinding and fine grinding. For coarse grinding, the diamond bond should be softer and the diamond hardness should be higher, as here the diamonds are vulnerable to become blunt. The diamond grit should be bigger, normally from 35 grit to 50 grit depending on practical requirements. The diamond concentration should be lower. For fine grinding or polishing, the bond should be harder and the diamond hardness can be softer, for here the diamonds can last longer and hard bond can also help the precision of the processing. The diamond grit is normally from 80 grit to 120 grit, depending on practical requirements. The diamond concentration should be higher. Grinding cup wheels are available in a wide variety of sizes. China grinding wheel and China cut-off wheel are available in various shapes, including flat disks, cylinders, cups, and wheels. Although many techniques, such as bonding a layer of abrasives to the surface of a metal wheel, are used to make grinding wheels, this discussion is limited to cup wheels composed of diamond materials contained in a bonding matrix. 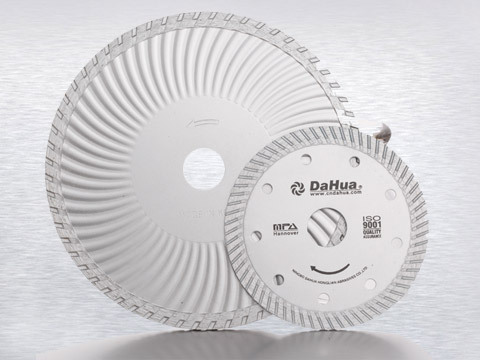 What Types of Materials Used to Make Flap Discs?